A few weeks back the classics of Universal horror were given a high-profile high-definition release, and the timing was curiously coincidental. The last time Universal brought out a massive repackaging of their classic horror collection, then on DVD, it was to coincide with the theatrical release of their ridiculous horror/adventure movie hodgepodge Van Helsing back in 2004. If one were to seek a current correlation, the Universal Monsters Blu-ray collection may have been timed to coincide with the improbable release of three children’s movies drawing on classic horror elements in barely a month; ParaNorman, Frankenweenie and Hotel Transylvania. Of these three, ParaNorman is the only released by Universal, and is also the least directly influenced by the classics of the 1930s – it pays far greater homage to American and Italian zombie movies of the ’70s. Because of this, the timing of this release of the Universal classics does not appear to have any link to this triumvirate of pre-teen horror, but it is nice that children leaving the cinema after these films asking their parents about the monster movies of the past can have their questions readily answered. And of the three none has more references to be addressed than Tim Burton’s Frankenweenie. A feature-length animated remake of a half-hour short film Burton made at Disney in the mid-’80s, Frankenweenie sees the director return to his secure footing in suburban gothic, and it is easily his strongest film since 2003’s Big Fish. The film tells the tale of young Victor Frankenstein, a regular all-American kid with a knack for invention, who turns to super-science when his beloved pet dog Sparky is struck by a car. Using his homemade lab to channel his town’s freak lightning storms, he manages to revive the dead pooch, after a little stitching of course. Frankenstein’s cuddly monster quickly becomes the envy Victor’s classmates, who seek to produce some supernatural experiments of their own. 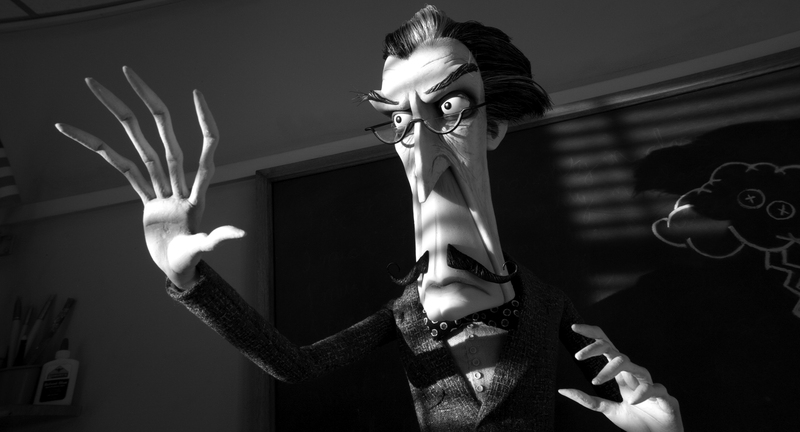 Shot in atmosphere-defining black and white, with pale, gaunt stop-motion figures, Frankenweenie is visually the perfect homage to those classic horror movies, despite its suburban school setting. The town the film is set in, New Holland, seems named solely for the purpose of excusing the windmill perched upon its tallest hill, which serves as a location for the film’s denouement just as it did in James Whale’s Frankenstein. The references become increasingly obscure and clever. Victor’s hunchbacked classmate Edgar is the obvious Igor stand-in, but his classmates all resemble characters and actors from classic horrors, while his science teacher, modelled on horror master Vincent Price, is voiced by Martin Landau, who in Burton’s magnum opus Ed Wood played the original Dracula, Bela Lugosi. Finer still, goth-girl-next-door Elsa Van Helsing (voiced by one-time Burton go-to girl Winona Ryder) refers both to the hero of Dracula as well as to Elsa Lanchester, who played the Bride in Whale’s Bride of Frankenstein – when Elsa’s female poodle receives a jolt from the electrified Sparky, she is left with the Bride’s trademark streaks in her poufy mane. 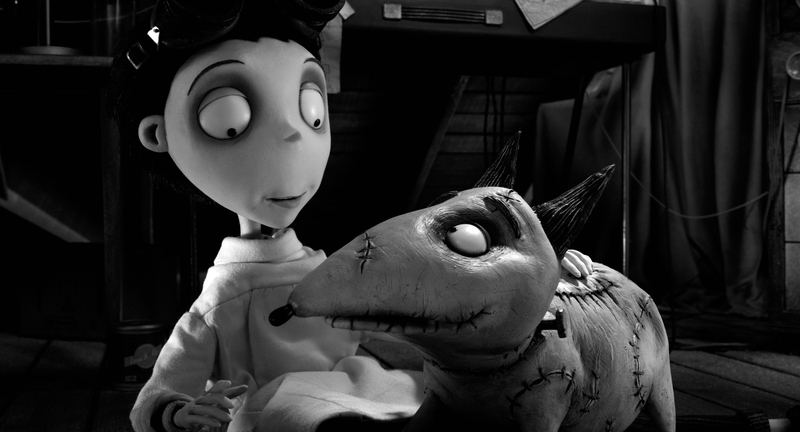 Sweet and sometimes very funny, Frankenweenie is oddly at its weakest when focusing on Victor’s relationship with Sparky. Only so many limbs can fall off before the re-animated dog joke runs thin, while Victor’s creepy classmates and straight-laced parents steal the limelight. The film’s finest and funniest scene features a PTA meeting in which the eccentric, ghoulish science teacher is asked to account for his students’ increasingly odd behaviour, and he attempts to calm the parents by assuring them he only wants to fill their heads with knowledge – cracking their heads open and getting at their brains. The metaphor goes down poorly. The stop motion, similar but less overtly gothic than that used in Burton’s troubled Corpse Bride, is largely pleasing to behold, and there are a handful of clever scene transitions that elevate this above standard children’s fare. Danny Elfman’s score however is less than memorable, and at one stage seems to awkwardly and unknowingly plagiarise his own Batman score. Descending into too much mayhem in its final act, and hardly vigorous in pursuing conclusions to its subplots, Frankenweenie still hits all the right notes for a family-friendly comedy adventure. Due to its subject, its audience will be small, but many who see it will be inspired to learn more about Hollywood’s classics of horror, and there is a sense here that that is all Burton wanted. It’s a welcome return to his roots for Burton, a filmmaker who had for so long become lost in his own meandering fantasy. Just don’t expect it to last.